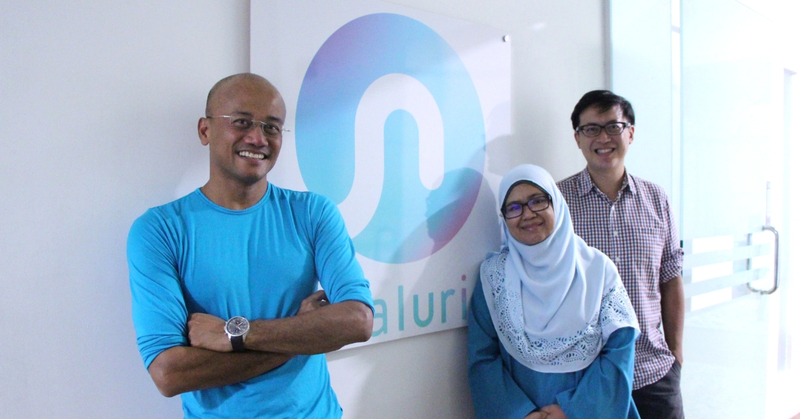 Naluri is a digital therapeutics solution founded by ex AirAsia X CEO Azran Osman-Rani that combines behavior science, data science, and digital design all into one app. The platform also provides professional health and life coaching services by connecting users to health professionals such as health psychologists, dieticians, and fitness coaches. Azran Osman-Rani is no stranger to the entrepreneur world as he is an experienced leader with 20 years of experience in building new, innovative, and disruptive businesses. Known as the founding CEO of AirAsia X Berhad, he led it from a startup to IPO in 6 years and achieved annual revenues of over RM3 billion with over 2,500 employees. Other than that, he was also part of the founding team at an internet video-on-demand service, iflix, as its CEO of Malaysia, and helped to scale it to 650 employees across over 20 countries in 2 years. To top it off, he is also an Ironman triathlete and his passion for health and fitness has now brought him to his latest venture—Naluri. 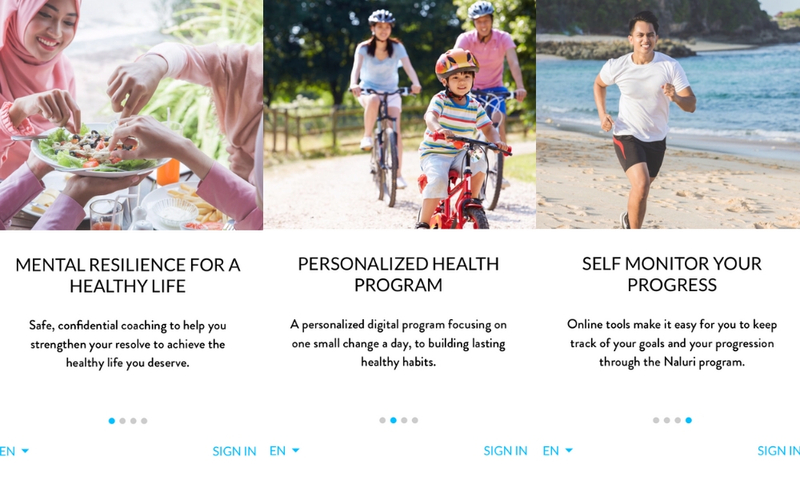 “Naluri is a digital therapeutics solution that combines behavior science, data science, and digital design to help you achieve the healthy lifestyle you deserve, conveniently and affordably,” said Azran. 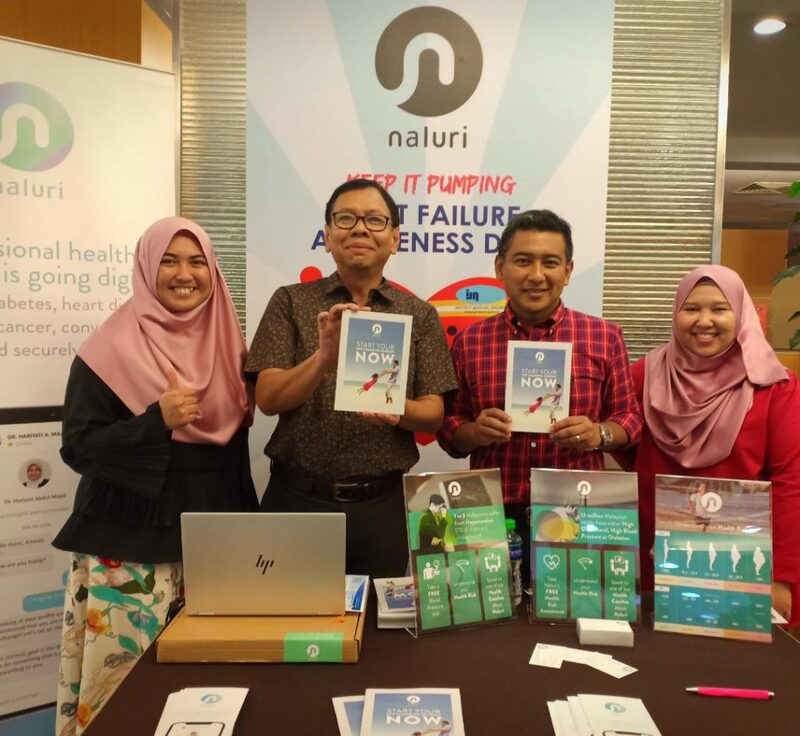 Naluri was started in mid-2017 by Azran as he set out to build a business that would help the mass population to become healthier. Here he was supported by two co-founders who both have backgrounds in healthcare—Dr. Jeremy Ting, a healthcare and tech specialist, and Dr. Hariyati Shahrima Abdul Majid of The Biggest Loser Asia fame. The star-studded team set out to tackle the increase in numbers of Malaysians faced with chronic diseases. Using the Naluri App platform, you can connect to a team of health professionals: including health psychologists, dietitcans, fitness coaches, holistic health coach, executive coaches, financial planners, medical advisors, and pharmacists. “We also provide you with digital tools such as food journals, daily modules, planners, and thought journals to help you learn, plan, track your progress and get professional feedback,” Azran added. Behaviour change is hard to do on our own and according to Azran, only 15% of people succeed in becoming healthier on their own while 58% succeed when they have coaches. Also, healthcare can be complex and according to Azran, most healthcare specialists provide “siloed” advice. For example, a cardiologist tends to only focus on your heart and a dietitian tends to only focus on what you eat. In contrast, Naluri provides users with a multi-disciplinary team of health advisors through the app. The app comes together with an artificial-intelligence engine that analyses a user’s responses and progress, and summarises the data for professional human coaches so they can provide more precise and higher quality advice, coaching, and guidance. When questioned as to how much the business has made, Azran declined to mention but said that they’re not motivated by profit, but rather motivated by trying to solve a problem first. After going live officially less than a year (their app was only officially published on the AppStore / Google Play in April 2018), they already have a list of corporate clients including large global insurance companies, government-linked companies, and healthcare providers on board the platform. Geared towards the B2B market, their contracts are tailored towards the needs of corporate partners. However, individual users can use their app for free up to 14 days before they’re required to sign up with a subscription plan. They’re very proud of how far they’ve come seeing that they’ve helped their users lose significant weight and even help some of them to stop taking medication. “It’s not about growth or users or revenues, it’s about changing people’s lives positively,” said Azran. Instead of focusing on expanding and growing, their primary motivation is to go deeper and deliver meaningful health outcomes, instead of just chasing growth for growth’s sake. “We would rather reduce chronic disease risks for 1,000 people by 50%, than to superficially promote health by encouraging 10 million users to do 10,000 steps a day but not make a deep difference to their cholesterol, blood sugar and blood pressure levels,” he said. Still being relatively new in the industry, he and his team aren’t afraid of doing something wrong as they’re focused on long-term success. If you would like to find out more about Naluri, you can check out their website here and social media here.